Centre for Social Action (CSA) is a unique movement, where student communities are sensitised on various issues affecting the poor and marginalized sections of society. This is done so that they can internalize and personalize the issues and contribute to sustainable changes in the lives of the poor and the oppressed. Through such processes of involvement, CSA aims to enable the students to be aware of the social realities around them as well as impart them with ideas of how they can contribute towards the upliftment of unheeded sections. It was set up in 1999 by the management, faculty and students of the University, as an offshoot of the National Service Scheme. 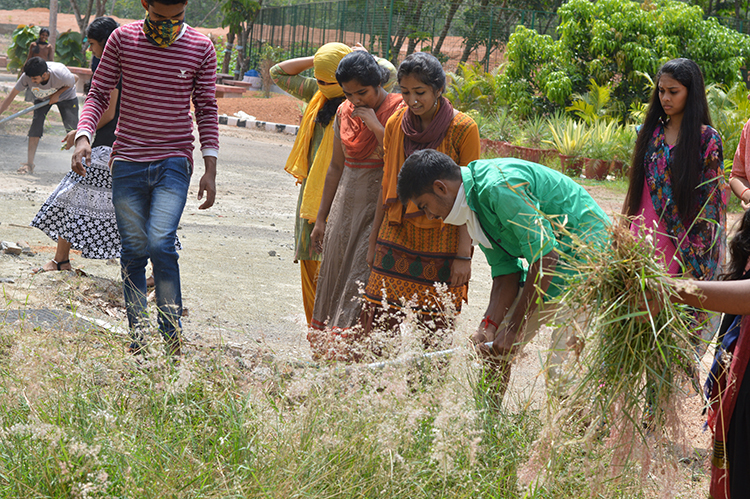 It was initiated with the intention of enabling the student community to imbibe the values of social responsibility, as envisaged in the Core Values, Vision and the Mission of Christ University. With the many socio-economic and environmental issues that the country facing today, CSA believes in the strength of the student community in bringing about a positive change. This is one of the driving forces behind the establishment of the centre, and remains the motivation for its active participation in various developmental projects and social sensitisation programmes. Thus, CSA intends to create a community of empathetic students who can work proactively for the society at large. The groups that CSA focuses its programmes on are children, women, youth and the student community in urban slums, rural and tribal villages and educational institutions.